Well, thank you for this piece of art, @tanyagaisanolee! She says that Art is universal just like yoga. This is a piece from a series of six which came about from her recent interest in the practice. 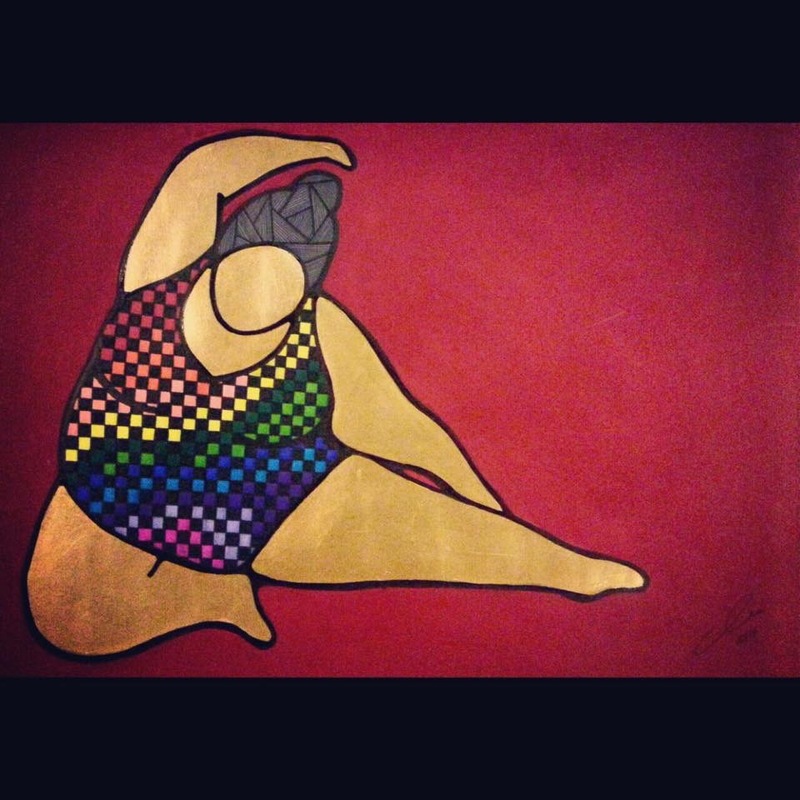 This particular piece eradicates the stereotype that only thin and fit people can do yoga. It shows that regardless of your apprehensions and lack of physical flexibility, you can attain peace and contentment through a positive outlook in life. She also emphasized that it’s a pose everyone can do no matter how fat, thin, beginner or pro they are. The bend just differs in depth as they progress but everyone can do it. It’s fair. More than the physical aspect though, I see the flexibility of personality in this piece. I also have seen @tanyagaisanolee’s felxibility in terms of a wife, a homemaker, an artist, and even as a friend. I’ve been friends with her since college and I know there are parts of her that have changed for the better and there are some parts of her that still make her, her. It’s so interesting to see her evolve into this highly creative, deep-thinking kind of woman. I am so proud of you! So this I say to you, #protons: BE FAIR. Everyone can do it. Each and every person can ‘bend’. You can do it. Yes, I’m talking to you. I hope this art piece serves as a reminder for you to keep trying so that you may bend deeper each time. May you find peace in that thought.